Clogging is one the most unfavourable things that could happen to your home. Whether it happens in your bathroom or kitchen, a clogged drain means that you will have to do without said drain for a while until you get it fixed by removing the clog and maybe even the culprit for clogging in the first place. 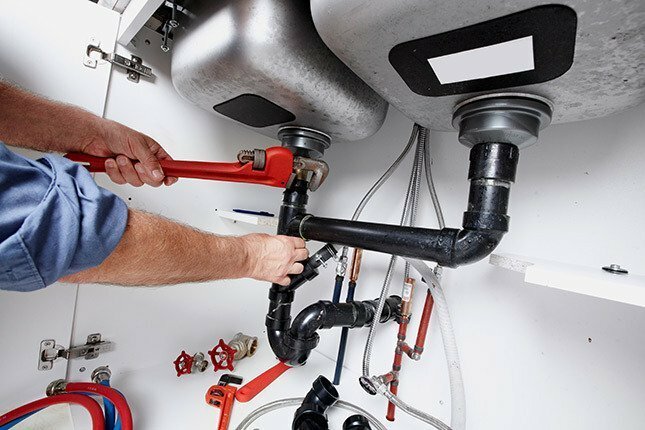 Fortunately for you, calling plumbers for assistance is not the only effective method in getting rid of clogged drains. While that is your only possible option for extreme situations, you should at least try a few of the following methods to try and get the clog removed by yourself. Chances are that you could do with saving a few dollars if the clog isn’t serious enough. Pour Hot Water – The very first thing to do when dealing with minor clogs is to pour some boiling water inside the sink first. As long as the cause for clogging itself wasn’t a serious one, you should be able to carry on with your daily activities thereafter. If not, you may need a more serious cleaning solution. Use a Baking Soda and Vinegar Mixture – This is one the most popular methods for getting rid of clogs, no matter where they occur. These two can be used in variety of ways. One is to just mix 1/3 of a cup each of both baking soda and vinegar, and then immediately pouring the solution into the drain, before the fizziness wears away. After that, you need to wait out for at least an hour before pouring hot water. Alternatively, you could directly pour dry baking soda into the drain and proceed to pour vinegar thereafter. Whatever method you choose, it should help you get rid of most of the gunk and grime that would have been built up inside. Use a Bent Wire – This is a very old school, yet very effective method to solve the problem of blocked drains caused by an excessive build-up of debris and hair strands. You need to first find an old coat hanger, remove the metal part, straighten it out as best as you can and finally use it to remove the debris. Remember that, unlike other methods, you will want to pull out the debris instead of pushing it down further or just dissolving it, so act accordingly or you will just make your problem worse. Use Caustic Soda – Mix some caustic soda with water and pour into the drain itself. Wait out for at least half an hour before checking if the problem is solved. You might also want to wear some eye protection and some gloves when handling caustic soda, as it can cause burns and skin irritation when concentrated enough, as caustic soda is actually the relatively powerful base commonly known as sodium hydroxide. What To Know About Roof Maintenance? Previous Post:How To Live An Environmentally Friendly Lifestyle?